I was an innocent dreamer when I arrived in Los Angeles. I had big plans and it all felt like the beginning of a movie to me. I was about to start studying in one of the best writing program in the country (University of Southern California. Go Trojans!) and I could feel the destiny thick around me like cigarette smoke. I could smell it on my clothes and in my hair; I could taste it on my tongue. In my mind I was certain that this moment, this arrival, was the true start of any future and inevitable biography that someone would write about me. That first night I had to stay in a hotel. And I practically skipped (already wearing my USC sweatshirt) as I approached the front desk. Behind it was an older, somewhat heavy, bored-looking woman and, noticing my sweatshirt, casually asked if I was a student. Oh, the can of worms she just unleashed! I quickly talked about the writing program and the professors I was going to study under, about my books, about my scripts, and about my plans, etc. The words (and dreams) flooded out of me. I could have gone on all day. Do you know the story of Icarus? When I think of my dreams and how I have allowed them to take me over, overwhelm me time and time again, I always think of that damn Icarus and the sun. For those that don’t know. 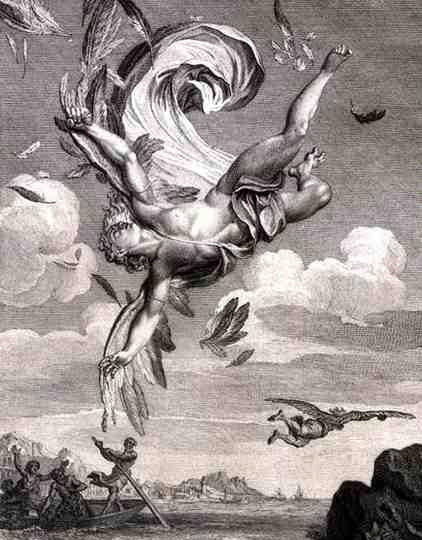 Icarus was the son of Daedalus, and they were both stuck on the island of Crete. To escape, Daedalus, being the wicked smart dude that he was, designed wings for him and his son to use to fly away. The two rules Daedalus gave his son were simple. 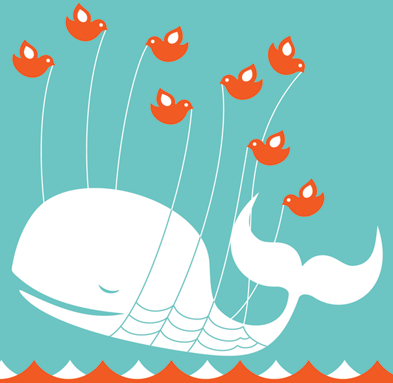 Don’t fly too high, the sun will melt the wax (which held the feathers in place) and you will crash and drown. Don’t fly too close to the water or your feathers will get wet and, again, you will crash and drown. Well, Icarus, a typical know-it-all kid, didn’t listen, flew too close to the sun, crashed and drowned. The end. For me, every time I have allowed myself to get excited, daydream and hope about my writing career becoming more than it is, I fall into the water too. Yeah, I become that damn Icarus, and to be honest, as I scan the sheer number of writers I see on Twitter and on Good Reads and on Amazon, I know I am not the only one struggling to stay afloat in the waves after the fall. It can’t help but make me wonder what all of us were expecting when we first donned our own wings. There could never be enough readers for all of us. Did we think it would be different for us? Would one of us be the lucky one, the one with the wings that would hold just so? A writer needs arrogance. Yes, I think it is a healthy feeling because you need to believe what you have to say is important and could not be imagined by anyone else. If I don’t tell this story, no one else will and it will be lost! Okay writers, it is fine to admit you have that thought too. It is one of the things that drives us, makes us get up in the middle of the night to write down an idea on the back of an envelope. For me, I was sure I was about to enter royalty, certain I would be the next Charles Dickens, the next Kurt Vonnegut; staking a claim like that in the literary world. These are my wings and I can touch the sun! Can you? Now, I’m not saying it might not happen. It still might (see, arrogance), but for the time being I am fighting to get as many eyes on my books as I can. One example is my novel A Jane Austen Daydream, which I think has a lot of potential because it stars Jane Austen and has some very new literary surprises in it (seriously) that a part of me is certain once they get out, could make my story something like the book version of The Sting (Don’t have anyone ruin the twist for you, read the book!). And everyday since it was published, I have lavished in the possibility and hope of it. But the publication of A Jane Austen Daydream (as well as my eccentric mystery book Maximilian Standforth and the Case of the Dangerous Dare), has taught me once again that wings are just wings, and while I would love to see my name on the New York Times Bestseller List, it is wiser to focus on three more realistic flight plans. I like to imagine that the amount of followers I have on Twitter (almost 24000), on Good Reads (almost 2000), and on Facebook (over 300) mean something. Yet, I know, in my heart of hearts it is a somewhat illusionary bit of success. It’s not altogether real. They are the zirconia of the writing diamonds. How do I know this? For example on Twitter I’m certain there are only a few hundred that actually read my tweets, check out my posts (Hi there! ), and maybe read my books. The reason I am certain of this is that thanks to WordPress I can see what traffic I get from Twitter. The same goes for Facebook. Some follow me on Twitter hoping I will follow them (which I will do if they an author since I write on the art of writing a lot), and some do the same on Facebook hoping I click that “like” button (which I don’t do unless I have read their work before and like their books since Facebook feels more personal to me). Good Reads is an odder social network and I am uncertain what it actually means (I am certain this will be a blog post in my future). For example, they like to emphasize that you should only follow who you want to, keep your social reading collective a nice club-like size. 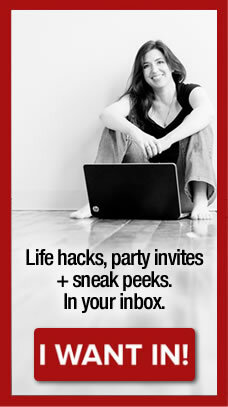 Well, how does that explain all the writers with thousands and thousands of friends? I get a half-dozen requests everyday, and since I don’t have a reason not to, I always accept them. The reviews are nice and fun to get; yet, each time I post a status update, or share an event, or write on a forum, or recommend one of my books, I know how empty the experience actually is. It’s like everyone has bought tickets to a show at a stadium and we all claim we are going to it… but really we aren’t. So what is a real moment? 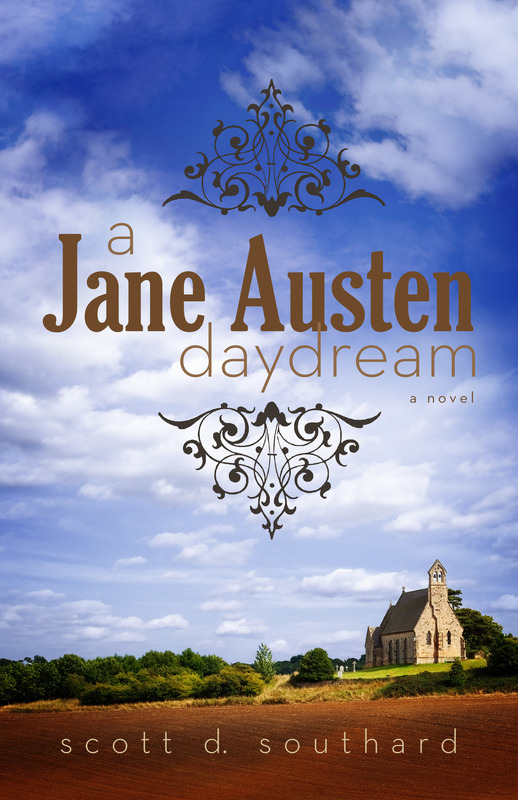 Well, my publisher for A Jane Austen Daydream had the ebook free on Amazon for two days, that lead to over 7,300 people downloading it. That was real, because I know, even if not all of them read it, they KNOW of it and me. The same goes for the over 700 that downloaded my book Maximilian Standforth and the Case of the Dangerous Dare. Every review I get from a reader on Amazon or on Good Reads is real. It means something special to me, because if it is a good review it states clearly that I succeeded in my goal with my novel. I have also almost 800 followers to my blog and each visit is real. Granted, I am not making money on advertising (Can anyone really live on $6 dollars a month WordAds?). But my mood can be turned positive or negative by those visit numbers each day. Those are readers… even for just a second on my site, they are MY readers. But beyond those moments, there are more smaller successes that are just as powerful for my writing mental health and they happen each day I visit my Amazon pages for my books to see my rankings or check out my blog visit numbers, I have something I didn’t have before. A little success for that day and I relish it with each sell, each click of the like on a post, each comment added to the bottom of my posts. They all mean something special. 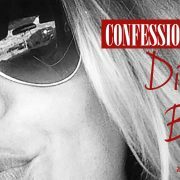 As much as I have slammed Twitter above, Twitter has given me one gift that I do relish each time it happens… It connects me to my readers in a way I never imagined. See about once a day (sometimes every other day), I hear from a reader of one of my books. Maybe they will say they are in the process of reading me, or say that they have finished it and like it or maybe they recommend their own followers to read it. Or, just as fun, I will sometimes get questions or comments about a book. These interactions are a wonderful gift, and Twitter is the best for these interactions. There is a chance somewhere out there the right reader is right now discovering one of my books. They might be someone part of a publishing house or a magazine, or maybe simply a successful writer, but they might say something… and that small noise near the mountain could start the avalanche I have always dreamed of. Daring me to dream that this time, or sometime in the future, my wings may be strong enough to survive the heat. But the catch here is that I have had to accept that that moment is probably out of my hands. I can hope, I can dream, but someone else has the say in that. Just like the publisher and agent with the query letter, the judge in the writing contest, and the producer with the script in hand, all I can hope is they see what I want them to see, that we are on the same page. Yes, I may be arrogant about my books and my ability, but I recognize my own limitations. The final step in success can not come from me. So every day, I have to learn to find happiness in each small success, each real moment I share with one of my readers. For the time being, all I can do is flap my wings slowly, carefully, and aim straight for the horizon. Scott D. Southard is the author of four novels published in the last few years, A Jane Austen Daydream, Maximilian Standforth and the Case of the Dangerous Dare, My Problem With Doors and Megan. You can find them via his Amazon author page or on Google eBooks. He is also an editor with rebeccatdickson.com. Got a manuscript that needs a special touch? Contact us and ask for Scott. For f*ck's sake. A rant and an excerpt. Motivation Monday, talk radio and the song to end all songs (for writers) Writers, why does everything need to be a series?